How can I arrange transport to and from the Meeting Point? How do I get at the bus stop at the end of the day? How do I know what time I have to be at the Meeting Point? How do I tell the taxi driver where the Meeting Point is? I do not want te sent a mail. Can I call? In which language? What I need to know if I arrive by local bus at the Meeting Point? What if I come by other transport than declared in the reservation I made? What if I meet somebody last minute who likes to join the Jungle Tour? What is the name of the bus stop where I have to get off? What should I wear on this day? When the reservation is final? Where can I get a moped / scooter / quad bike hire? 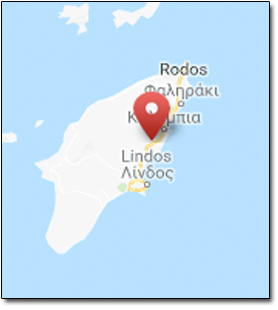 Where we'll find Nikos Papas? Which language speaks Nikos Papas.